The polycystic ovary syndrome (PCOS) is a condition in which the ovaries accumulate tiny ‘cysts’ (actually little follicles, two to five millimeters in diameter, each of which contains an egg). Instead of the follicles growing and going on to ovulate they stall and secrete male hormone into the blood. Ovulation can be infrequent or totally absent without help. If you have this condition, it will usually have been obvious for years, because of irregular periods and perhaps an increase in facial and body hair caused by more than the normal amount of male hormone in the blood. 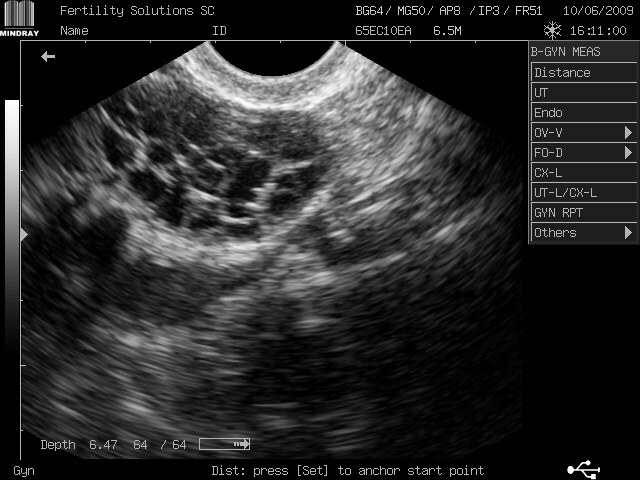 Many women with a tendency to develop polycystic ovaries can have regular cycles. They might never have known they had it before they have an IVF treatment cycle – when many more follicles than usual start to grow. There are estimates that as many as 1 in 5 women have mild polycystic ovaries. It’s probably genetic – often coming down from the male side of the family. The frequency of this condition could be explained by possible evolutionary advantages. An unusual aspect of PCOS is that while women normally stop ovulating when they become underweight, women who have PCOS ovulate irregularly or not at all at normal to obese weights, but might ovulate if their weight drops considerably below the “normal” range. This could once have been a useful phenomenon in times of famine. 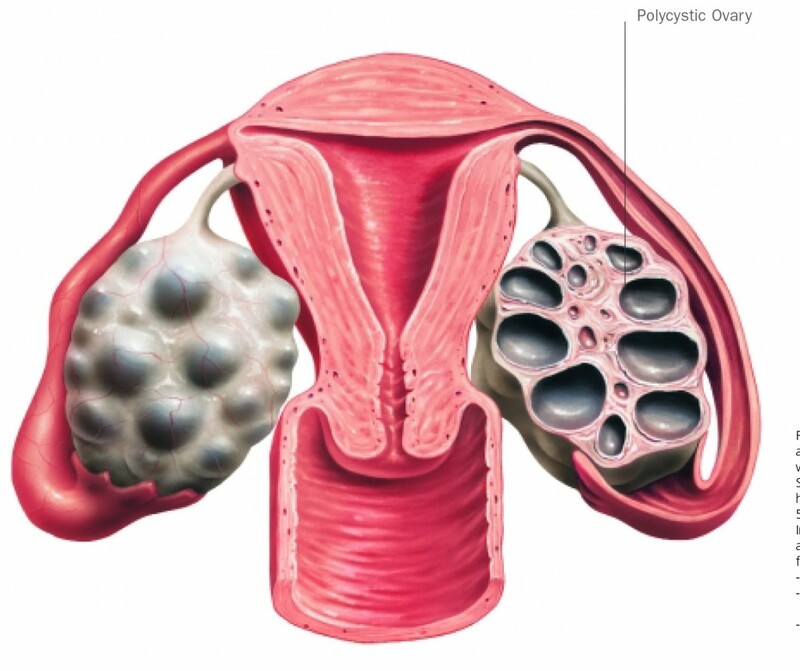 Many women with polycystic ovaries have a mild form and need no treatment whatsoever. Fertility can be normal. If your menstrual cycle is disturbed, then when you are not trying to get pregnant the oral contraceptive pill is very good treatment: it stops the follicles and the male-hormone-producing tissue from accumulating; it stops complications such as abnormal hair growth from taking place; it gives regular periods; it provides contraception; and it protects future fertility. The most common short term problems women with PCOS have are menstrual irregularities and infertility. If you are attempting pregnancy then the drug clomiphene (Clomid or Letrozole) are the first choice to induce ovulation. If clomiphene/letrozole do not work then an injection of follicle stimulating hormone (FSH) can be used. These are the same preparations we use in IVF to increase the number of follicles that grow and ovulate. Using FSH to induce ovulation in preparation for getting pregnant naturally is tricky at the best of times (because of the risk of stimulating too many follicles and having a multiple pregnancy). The accumulation of very many little follicles that occurs in PCOS makes the use of FSH even more tricky sometimes 20 or more follicles grow in each ovary! A more recent approach to treating infertility with women who have PCOS is the use of insulin sensitising medications. These medications act by improving the sensitivity of peripheral tissues to insulin, which results in decreased circulating insulin levels. The most widely used insulin sensitising agent is Metformin. Metformin is administered in a dose of 500mg-1700mg daily. Side effects are mainly gastrointestinal, including diarrhoea, nausea, vomiting or abdominal bloating. A systematic review of the use of Metformin for ovulation induction for PCOS shows that up to 60 per cent of women ovulate over a 3-6 month period. A recent extensive literature review of insulin-sensitising drugs for polycystic ovary syndrome concludes that metformin is an effective treatment for anovulation in women with PCOS. It may be used as a first agent, but it is more effective in combination with clomiphene citrate. Even with the best of monitoring, too many follicles can reach maturity for the AI/IUI cycle to continue. 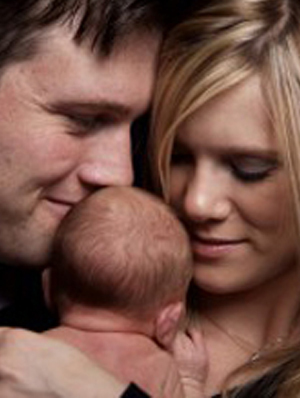 This may result in the cycle being cancelled or a last-minute suggestion might be made to carry out an IVF procedure. Women with PCOS are at greater risk of ovarian hyperstimulation, because of the large number of follicles that develop at one time. 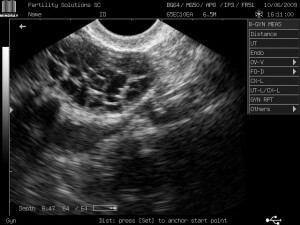 Sometimes the ovaries are so over-responsive that there may be a risk, even with egg pick-up for IVF, of serious ovarian hyperstimulation syndrome (OHSS). This causes enlargement of the ovaries, swelling of the abdomen with fluid, and vomiting. Abandon the cycle. If the ultra sound scans and hormone blood tests suggest us to believe that too many eggs might be collected (>20) it is our experience at Fertility Solutions Sunshine Coast that there can be a compromise in the quality of the resulting eggs and embryos. As a result we often recommend abandoning this month, waiting for your body to readjust, and recommence another IVF cycle on a lower dose of FSH injections. It is now widely accepted that women with PCOS have a significantly increased risk of diabetes. There has also been concern that PCOS may contribute to the risk of developing cardiovascular disease (CVD). The reason for this is that many of the biochemical disturbances, such as insulin resistance and the resultant unfavourable changes in blood lipids (fats) which are associated with PCOS, are recognised risk factors. It has also been reported that women with PCOS have increased atherosclerosis (fatty plaque build-up in the arteries). It has been reported that the chance of early pregnancy loss in women with PCOS is significantly higher than the community. This is thought to be associated with the raised levels of luteinising hormone (LH) associated with PCOS. Unfortunately using LH suppression with a medication known as a GnRH agonist such as a Synarel nasal spray, does not appear to decrease the risk of miscarriage. If you have any further questions or concerns relating to PCOS, please contact us to discuss this with your fertility nurse. View a downloadable brochure on PCOS.